The way children learn is always changing. In the '80s and '90s teachers brought videos into the classroom or used short, simple games like Oregon Trail or Number Munchers to teach basic math and history. The next generation of students, however, will have something better: Minecraft. 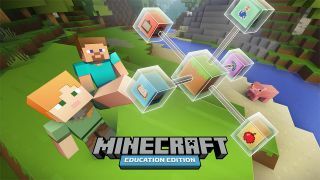 Microsoft announced today that Minecraft: Education Edition will go into pilot testing with teachers in June, and will seek feedback on how they plan to use it with their students. I mean, teachers need something to keep themselves occupied over the summer holiday, right? In all seriousness, the time spent over the summer will give the teachers time to improve the software and create potential lesson plans for a potentially larger roll out sometime later. Some of the experiences that the Redmond-based team have already created for instructors are virtual reconstructions of the Temple of Artemis, Pyramids of Giza and the Anderson Shelters, which were used to protect families of six from explosions during World War II. The pilot program for Minecraft: Education Edition will start in June with free downloads for PC and Mac, but over 100 schools in 30 countries will take part in a beta release for the game next month.